San Mateo, California – March 6, 2017 –TabletMark® 2017, the latest version of the cross-architecture, cross-platform, application based benchmark for touch-enabled devices running iOS, Android, or Windows, was released today by the Business Application Performance Corporation (BAPCo®), a non-profit consortium of leading PC hardware manufacturers and software publishers. 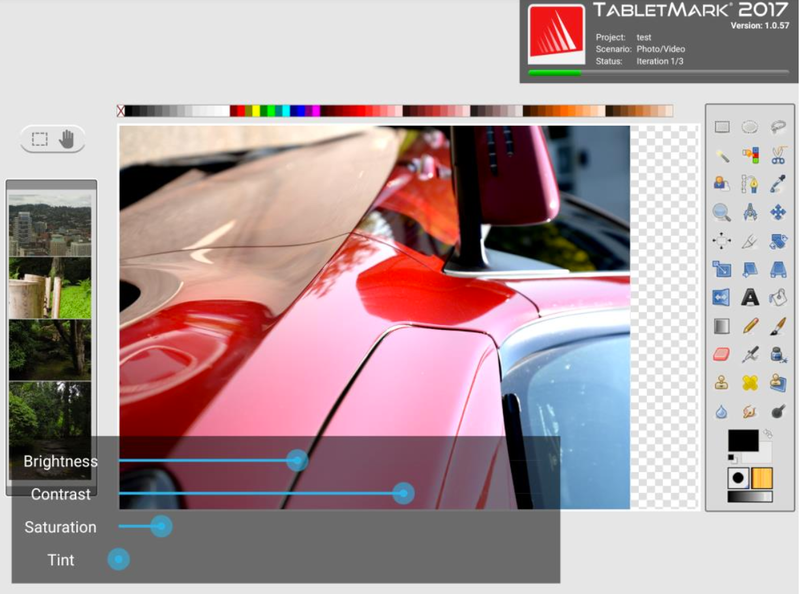 TabletMark 2017 measures the performance and battery life in the areas of web browsing, email, photo and video editing and sharing, and video playback. Results are displayed for the user at the conclusion of the run. With TabletMark 2017, you can compare the performance and battery life of devices based on all of the popular mobile platforms. The latest release includes updated workloads, utilizes updated SDKs and development tools. In addition, the Windows version has been rewritten from the ground up for Windows 10 Universal Windows Platform. TabletMark is available right now as a free download from app stores including iTunes, Google Play and Windows Store or via the TabletMark product page. For over 25 years, BAPCo’s membership has represented the breadth of the computing industry and harnesses a consortium of experts for the best in real-world application-based benchmarking. TabletMark broadens the BAPCo family of benchmarks, including SYSmark® and MobileMark®, which have been widely accepted by IT Managers, PC OEM’s, press and analysts worldwide. The Business Applications Performance Corporation (BAPCo) is a non-profit consortium of leading independent testing labs, PC OEMs, PC component manufacturers and software publishers. Current BAPCo membership includes: Acer, ARCIntuition, ChinaByte, CNET, Compal, Dell, Hewlett-Packard, Hitachi, Intel, Inventec, LC Future Center, Lenovo, Microsoft, Quanta Computer, Samsung, Toshiba, Western Digital, Wistron, and others. BAPCo is also proud to work with trusted advisors such as ZOL.com.cn and Vogel Burda Media (China). Any organization interested in contributing to the consortium’s goals and purposes is invited to join BAPCo. Government agencies are encouraged to join the BAPCo Government Network.